Apollo 11 Commander Neil Armstrong speaks to Congress at a ceremony that honored fellow astronauts John Glenn, Buzz Aldrin and Michael Collins. 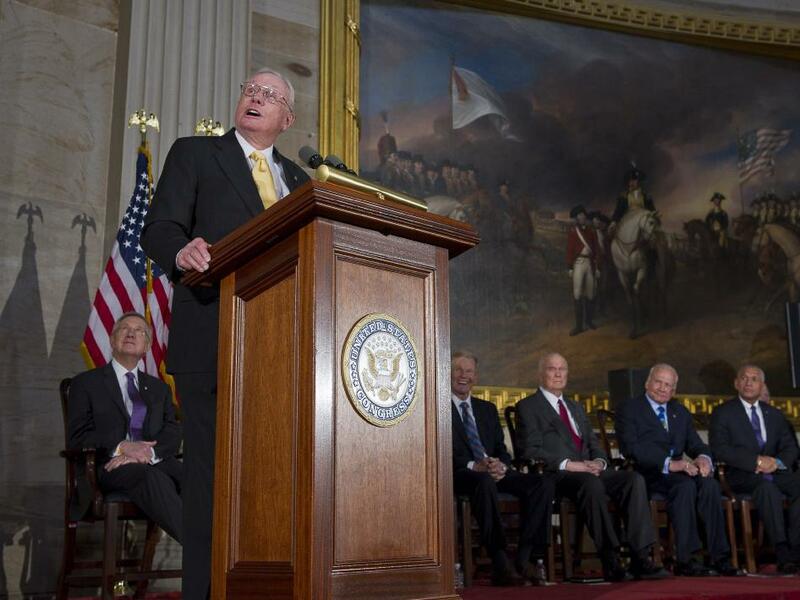 Each received a Congressional Gold Medals during the ceremony in the Capitol Rotunda on Nov. 16, 2011. The Gold Medal, Congress' highest expression of national appreciation for distinguished achievements and contributions, was first given to George Washington in 1776. Glenn was the first American to orbit the Earth, achieving the feat aboard Friendship 7 on Feb. 20, 1962. On July 20, 1969, Armstrong and Aldrin became the first humans to set foot on the Moon, while Collins piloted Apollo 11's command module.